Enjoy these thoughts from James White on the meaning of Christmas. In my opinion, Dr. White is one of the best apologists, exegetes, and theologians of our generation. I hope you are blessed by his teaching and are helped to remember what Christmas is really all about and how our culture is increasingly hostile to the true meaning of Jesus' birth. NKJ Matthew 1:18-21 "Now the birth of Jesus Christ was as follows: After His mother Mary was betrothed to Joseph, before they came together, she was found with child of the Holy Spirit. 19 Then Joseph her husband, being a just man, and not wanting to make her a public example, was minded to put her away secretly. 20 But while he thought about these things, behold, an angel of the Lord appeared to him in a dream, saying, 'Joseph, son of David, do not be afraid to take to you Mary your wife, for that which is conceived in her is of the Holy Spirit. 21 And she will bring forth a Son, and you shall call His name JESUS, for He will save His people from their sins.'" Earlier this morning Dr. Al Mohler, president of Southern Baptist Theological Seminary, published a an article on his blog entitled The High Cost of Being (and Staying) Cool -- Rick Warren in a Whirlwind. 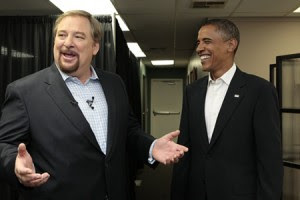 In this insightful article, Dr. Mohler discusses Barack Obama's recent selection of Rick Warren to deliver the invocation at the upcoming presidential inauguration on January 20. He also addresses the backlash among members of the gay rights community, who have stridently opposed Obama's decision. of these represent the quintessence of cool in cultural identification. But for how long? Eventually, the issue of homosexuality will require a decision. At that point, those churches will find themselves facing a forced decision. Choose ye this day: Will it be the Bible or coolness? federal funding of human embryonic stem-cell research. Sources inside the transition office have advised activists to expect a flurry of executive orders in the new administration's first hours and days. I agree with Dr. Mohler's position and am encouraged by his typical desire to follow Scripture as his guide and to refuse to give even the appearance of approving of that which is evil. Let us all take note of his example. And let us all join him in praying for President-elect Obama and for the United States of America. Let us also all pray for Rick Warren, that the Holy Spirit will lead him to repentance where it may be necessary, to a deeper awareness of the adverse effects of his actions on others, and to greater wisdom in following the Lord Jesus. 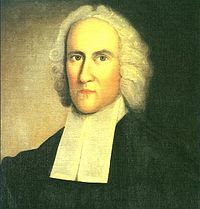 The Jonathan Edwards Center at Yale University offers free access to a complete online critical edition of Edwards' works. You can browse a through a list of his works here. Or you can search his works here. For any of the blog's readers who may not be familiar with Jonathan Edwards, a good beginning would be to check out John Piper's message entitled The Pastor as Theologian: Life and Ministry of Jonathan Edwards. You can both read and listen to the message. While several harmonies of Reformed Confessions have been published over the years, and also various compilations of Baptist Confessions, I am unaware of any attempts to do what has been done here--to place the most important 17th century Baptist Confessions and Catechisms side by side with their Reformed source documents. Dr. Renihan has rendered an invaluable service to Christ's Church through his labors. Both the contents of this work and the beautiful sturdy soft-cover, spiral bound design for teaching utility make this book an ideal resource for pastors & professors alike. This work is a "must have" for every serious study of 17th century Baptist symbolics.It was with a deep sense of "finally" that I looked at this new work by Dr. Renihan. We have long needed this detailed and tabular comparison of the foundational documents of our Calvinistic Baptist heritage and their sources. This work reminds lovers of that heritage that those who drew up these documents saw themselves as part of a Calvinist International, "a broader Reformed community" as Renihan puts it... Michael Haykin, Th.D. Having had an opportunity to make some use of this work, I can heartily agree that it is well worth the price. However, there is a similar free resource available for basic tabular comparison of some the the most important creeds for Reformed Baptists. These have been made available for some time by James Anderson. The first is A Tabular Comparison of the 1646 Westminster Confession of Faith,the 1658 Savoy Declaration of Faith, the 1677/1689 London Baptist Confession of Faith and the 1742 Philadelphia Confession of Faith. The second is A Tabular Comparison of the 1646 WCF and the 1689 LBCF. Of course, these two documents won't replace Renihan's work, and I recommend it if one can afford it. But they do provide a helpful resource. May God continue to bless the growing Reformed Baptist movement. And may we truly appreciate our godly heritage. I usually don't post about political or economic issues, but I just couldn't help myself when I saw this tongue in cheek video by conservative politician Fred Thompson.